What size & type of cable should be used on 150kW VFD? Home » FAQ » What size & type of cable should be used on 150kW VFD? If my motor rating is 150 KW...and my run of cable from variable frequency drive to Motor is 200 meter, then what size & type of cable to be used? How to calculate bearing current? Common-mode current? A: Not knowing the geography your project is in (there are so many local codes, voltages, etc.) I cannot directly answer your questions, but the basics that I would recommend is using the motor full load amps times your local code requirements for rating (ie. X 1.25) with some additional consideration for the voltage drop at 200m. I would also suggest that you consider the voltage rating on the motor insulation as well as the motor feeder cable. Take the AC line nominal voltage X 1.414 (ie. 415 x 1.414 = 585V) to insure that you have the dielectric "strength" that the PWM waveform will place in the cables and motor winding with a safety factor added in. For most of the China installations with a nominal AC line voltage of 380V, we want to see motor cable that is at least 1,000VAC rated and prefer motor insulation to either be 1,400 or 1,600V rated. I have never seen anyone attempt to calculate common mode currents. 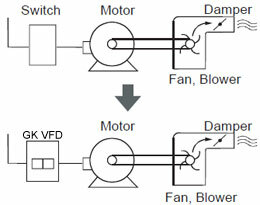 The amount of variables in motor types, cable capacitance, etc. does not make it practical. In a perfect world, I would have isolated bearings (on larger motors (75KW and larger, both ends) or shaft grounding. From practical experience, basic proper grounding is very important. 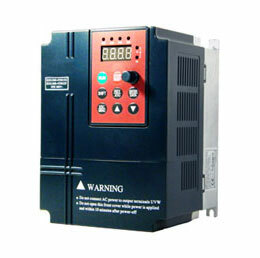 From the power source to the variable frequency drive (VFD) and from the VFD to the motor. For your 200m application, I would also use either a du/dt filter or a sinus filter. You should not have any VFD operational issues at 200m with a 150KW system (from the VFD perspective), but if the project budget allows, I would use the insulated bearings OR an output filter. I am sure there are local manufactures for your project. I would discuss with the VFD manufacturer to ensure compatibility.